Joss Whedon's S.H.I.E.L.D. pilot has been fast tracked into production. Joss Whedon's S.H.I.E.L.D. series on ABC Entertainment has the favor of the network's president, according to a quote from The Hollywood Reporter. "We fast-tracked that and we'll see it a lot earlier than the others," said ABC President Paul Lee, "We're very hopeful that's going to go to series ... it's a great script." 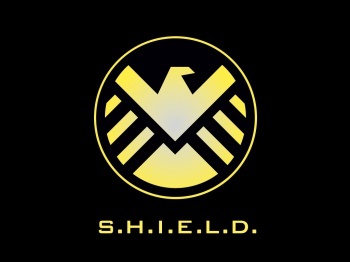 Likely to debut in fall of 2013, S.H.I.E.L.D. will follow the exploits of the Strategic Hazard Intervention Espionage Logistics Directorate prominently featured in Marvel comics and in last summer's The Avengers. An anonymous network source told EW that Whedon is already working on scripts for a season, scheduled for debut in Fall 2013, which were requested because of an assumption that S.H.I.E.L.D. will be greenlit. The pilot will feature Clark Gregg as Agent Phil Coulson, returning in his role from the Marvel movies, and star Ming-Na as Agent Melina May. Joss Whedon wrote the script alongside his brother Jed Whedon and Maurissa Tancharoen, who are married. That's the same writing team that brought us Dr. Horrible's Sing-Along Blog, which bodes very well for the writing quality in S.H.I.E.L.D. When asked to elaborate on how good the script was, Lee said that "It's just very Joss. You know how Joss is so high-low? And he's able to be intense and epic and suddenly funny and silly? He's just got that ability to be super-entertaining and sort of super-educated." There's a willingness at ABC to develop further Marvel shows, said Lee, "We're developing a lot of Marvel shows and we think Marvel is huge for us, there's an opportunity in it for us."